Why Visit Far East & Asia? 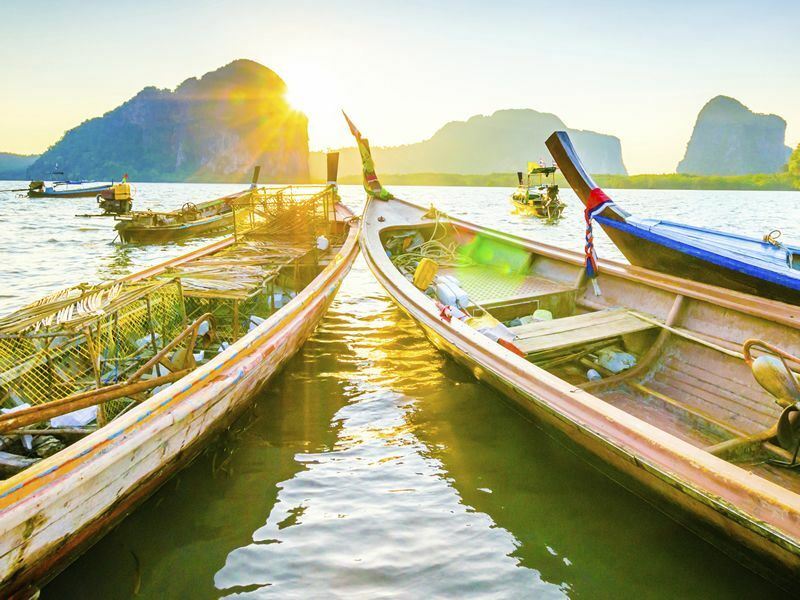 Southeast Asia has become one of the must-see areas of the world for backpackers, globetrotters, package vacation destinations or independent vacationers. It is an utterly entrancing and addictive region of mountains, beaches, rivers, rice paddies, ancient temples, world heritage sites, tiny ethnic villages and huge cosmopolitan cities. Its diverse landscape, climate and numerous attractions make it difficult to select an itinerary and explore this fascinating part of the world. As well as the famous stopping points such as the Angkor Wat temples, the islands of Southern Thailand or the museums in Ho Chi Minh City in Vietnam, there is a wealth of smaller but infinitely rewarding points to pause on a Southeast Asian route. Whether you are looking to experience the real culture of the country that you are in by staying with a hill tribe, or doing a cooking course, or simply want to make unique and valuable memories, it is worth experiencing some if not all of the top 10 things to do in Southeast Asia. After the hot, dusty days, Phnom Penh becomes alive at dusk. A walk along its broad riverside promenade will show scene after scene of Cambodian locals socialising, chatting, relaxing, the atmosphere is buzzing and it is a great way to see real Cambodian city life. Buy some fresh mango off a street seller and watch one of the many outdoor aerobic classes which take place under a gorgeous sunset over the Mekong. When it goes dark people are drawn like fireflies to one of the huge outdoor food markets, pile your plates high of steaming freshly cooked noodles and eat on the communal mats in the center of the square. A tour of Vietnam isn’t complete without a stop at this beautiful and historical Vietnamese town on the coastal route down from Hanoi. Built over a river, Hoi An is magical at night when hundreds of colored Vietnamese lanterns hang from every lamp post and bridge. Famed as a town of tailors, many travelers stop to have their individual measurements taken for a silk dress or a suit. The tailors work all night and your garments will be ready for collection within two days leaving you with a stunning piece of clothing to remember this unique place. Spend a couple of nights on an iconic Vietnamese junk as it sails between the mazes of strange cliffs, mist and floating villages which make up Ha Long Bay. Most boat companies include a stay at one of the larger islands where you will disembark and climb up through the dense forests to incredible viewpoints over the whole bay area. Rarely on the map for the time-pushed budget traveler, a trip to Kratie, north of Siem Reap, is a glimpse into rural Cambodian life and a chance to see some of the rarest freshwater dolphins in the world. A tiny boat company will take you out to the swirling remote parts of the Mekong, down river from the town, and as you relax on the heat of the tiny deck and gaze at the hypnotic river you will soon see the noses and fins of these beautiful and timid creatures. A unique and rarely experienced diversion off the Southeast Asia trail of wonders and a few days well spent. One of the most memorable parts of any Southeast Asia itinerary is the aromatic and deliciously tasty food. There are many cooking courses on offer in this northern corner of Thailand, but this doesn’t diminish it as a memorable and long-lasting experience. You will spend time smelling spices and buying rice in the local market with your teacher, and then cook up to five Thai dishes with a recipe book to take home. This is a great supplement to independent sight-seeing, and also means you will be able to take some delicious Thai cuisine home with you. Leaving from Chiang Mai, there are many trek companies offering various packages which include elephant rides, hill tribe stays and waterfall trips. Eagle House hostel in Chiang Mai offers smaller group sizes and access to some of the more remote parts of the neighboring national park. They supply you with a charismatic and knowledgeable guide, both qualities which become invaluable as he will keep your spirits up during the trek and provide useful translation and local knowledge when meeting the hill tribes. Washing in waterfalls, wandering through tiny unchanged villages, and floating down streams on bamboo rafts are just a few of the vivid memories you will take home from a trek and it is a must-do for any adventurer in the region. A worthwhile day trip from Louang Phabang, this waterfall is picture perfect with a series of the palest turquoise pools underneath a forest area of hidden falls and little streams. Hire a tuk tuk driver for the day from the town and buy food from the vendors lining the road up to the falls. There are picnic areas surrounding the lower, more accessible, pools, but for the more adventurous try climbing off the paths slightly and discover your own hidden waterfall and pool. Spending the day jumping off waterfalls and swimming in the stunning Laos countryside is a refreshing break from temple visiting in stunningly beautiful surroundings. Slightly less raucous than the notorious celebrations in Bangkok, Chiang Mai is nevertheless a close second for those wanting to let their hair down for one of Thailand’s best celebrated public vacations. Songkran usually takes place around the first weekend of April - think of it as a three day water-fight that quickly expands into a whole week of packed streets, parties, parades, stalls and a whole lot of water. Forget any ideas of staying dry, wear swimwear under clothes and embrace the chance to be soaking wet at all times. Just remember to keep your valuables in a watertight bag or purse! Koh Chang is Thailand’s second largest island and also one of its less well known. Its dense jungle interior is fringed by long stretches of white beaches, and it is has a laid-back and more hidden away feel than some of the southern islands. Travel to Long Beach and stay in the idyllic and hidden away Treehouse resort. Pick one of its shaggy beach front huts with a hammock on its porch, spend the days sunning yourself miles away from any stress and while away your evenings playing cards and eating deliciously fresh curries on their beach front decking and floor cushions. Absorb an island paradise far from the trappings of modern life, and a brilliant way to end your travels. Located in the jungle above Houay Xai, this unique experience is a series of treehouses joined by a network of zip wires, high above the ground in the forest’s canopy. Not for those who prefer their comfortable hotel stays, this trip is a once in a lifetime and totally unique few days. Guided by locals linked to the project, you track various families of rare gibbons who live in the forest, and who can be heard whooping or “singing” at dawn or dusk. As you have unique access to their habitat high up in the trees, there is a high chance of sighting these amazing and elusive creatures. And even if you don’t catch a glimpse, zip-wiring across the Laos jungle and showering 60m off the ground in a secluded “bathroom” with no windows just wooden railings is something you will never do again and is a unique and amazing memory.